Inspiration Point Fine Arts Colony is a not-for-profit 501(c)(3) corporation, supported by memberships, gifts from friends, ticket revenues and student tuition. Opera in the Ozarks at Inspiration Point is a unique training program and festival founded in 1950. Affiliated with the National Federation of Music Clubs (NFMC), Opera in the Ozarks has earned the reputation of being a prominent training program for all singers interested in pursuing a career in opera. Our alumni have sung on all the major operatic stages of the world. One of the outstanding features of the program is that every participant is afforded an opportunity to perform in fully produced operas, a scenes program or an educational outreach program taken to the several areas in Northwest Arkansas. Four weeks of intensive rehearsals under the direction of a professional staff culminate in a month of performances over the course of which the artists continue to grow and develop. 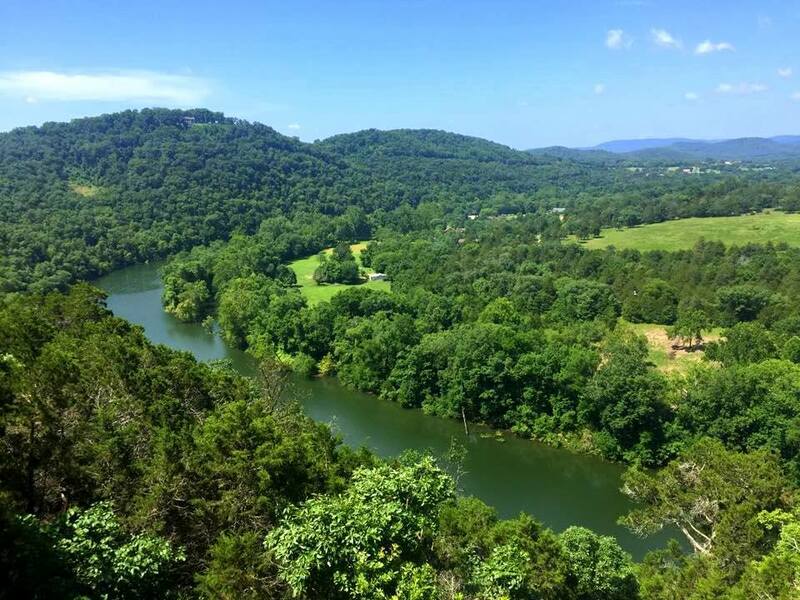 Inspiration Point, poetically described as “a mountainous place not too many miles from Heaven” is located northwest of Eureka Springs, Arkansas, on Scenic U.S. Highway 62, overlooking the White River valley some 600 feet below. Creating one of the most idyllic scenes, the lowlands merge in the background into range after range of the incomparably beautiful Ozarks. In 1928 a German-born architectural engineer, Charles Mowers, purchased the land overlooking the valley and began construction of a castle patterned after those of the Rhine River valley. In 1932 the unfinished castle and the grounds were purchased by Rev. Charles Scoville, a Christian missionary who completed the castle and gave it its name, Inspiration Point. When he died in 1938 his wife gave the entire Inspiration Point estate to Phillips University, a Christian university in Enid, Oklahoma. 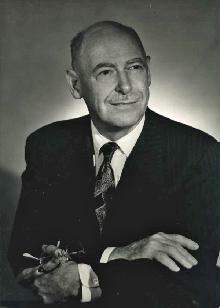 In 1950, Dr. Henry Hobart, former Dean of Fine Arts at Phillips University, was contacted with regard to starting a summer music camp on the grounds. With the support of Gertrude Stockard, Director of Music at Eureka Springs High School, Inspiration Point Fine Arts Colony came into being during that summer. The first Fine Arts colony session was held in 1950 for four weeks. It was patterned after most any other camp across the country, with a little of everything in vocal and instrumental music and dramatic art. However, Dr. Hobart and Ms. Stockard wanted something different and distinctive, and decided to make Inspiration Point into an opera or music drama summer workshop conducted under the highest professional standards and carefully planned for the young voices of talented college, high school and outstanding junior high students. All opera roles would be performed in their entirety by the students; no lead singers would be brought in to sing the principal roles. The theme of Inspiration Point Fine Arts Colony would be “The students are the stars”. For the first two years a major portion of the funds needed for operating expenses and capital expenditures were provided by Dr. and Mrs. Hobart and by loans from Phillips University. Some construction materials were donated by Eureka Springs businesses, but the financial needs quickly grew greater than the Hobarts and the handful of loyal supporters could continue to meet. 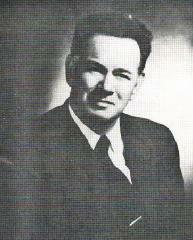 For a number of years Dr. Hobart had been state opera chairman for the Oklahoma State Federation of Music Clubs. He suggested to Leta Mae Smith of Lawton, the Federation president, that they sponsor the youth opera workshop. Miss Smith was quick to agree and invited the state federations of Arkansas, Kansas, and Missouri to become co-sponsors of the project. By 1993, Illinois, Texas, and Iowa had also joined the group. Dr. Hobart’s philosophy with regard to the faculty for Inspiration Point was to try to get only the best. As a result, a number of eminent artists at the top of their professions have been associated with Inspiration Point. During the early years, the most outstanding of these was Dr. Isaac Van Grove. His accomplishments as an opera composer, conductor of leading opera companies, vocal coach and accompanist for several world famous singers qualified him as an opera director of the highest order. For twenty years, up to her death in 1976, Joan Woodruff, wife of Dr. Van Grove and an internationally known choreographer and ballet instructor, taught advanced ballet, stage action and stylized dance forms at Inspiration Point. Dr. Van Grove was the Artistic Director at Inspiration Point for 25 years. He died in 1979 at the age of 86. The effectiveness of training received at Inspiration Point has been demonstrated many times over by the successes by alumni in their opera careers. Many are internationally famous. Many have sung on the stage of the Metropolitan Opera company as well as opera companies in Chicago, New York City, San Francisco, Houston, Switzerland, and Germany. Inspiration Point continues to grow and flourish. 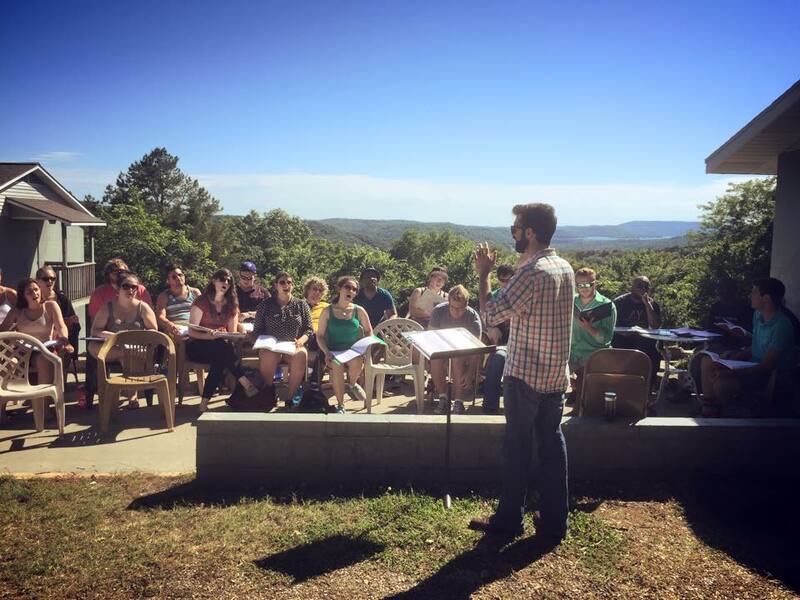 What began in 1950 as a summer music camp, has evolved into a mecca where university students and graduates in Voice, Instrumental Music, and related arts come to prepare for professional careers, a place where opportunity, music, artist and audience meld with the beauty and splendor of the Ozark Mountains. 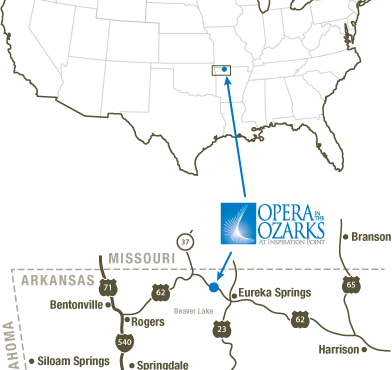 Beginning in 1993, our strong focus on opera led to our Company name, OPERA IN THE OZARKS at INSPIRATION POINT.